EuroGOOS aims to work in the collective interest of its members to improve the quality and cost effectiveness in the production of operational oceanographic services at national, regional and global levels. Identify European priorities for operational oceanography focusing on defining research priorities and relate to key European initiatives, while linking to the research community, industry, users and EU policies. Promotion of operational oceanography through publications, conferences, web presence and increased engagement with key actors in the efforts to speak with one voice. Foster Cooperation through close cooperation at global, European and regional levels. Co-production allowing reduction in costs and higher specialization, leading to commonly available operational, observation and model-based products and services. Specifically, EuroGOOS aims to better coordinate co-production for the Marine Strategy Framework Directive (MSFD). 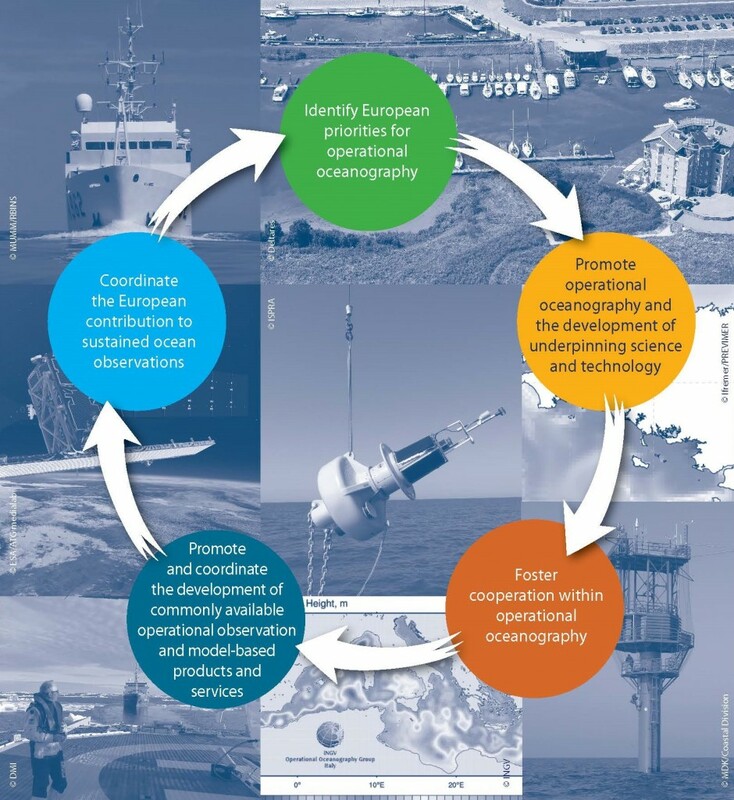 Sustained Ocean Observations: EuroGOOS is playing a leading role to ensure coordination of the European contribution to a sustained marine observational system through the promotion of a European Ocean Observing System (EOOS), closely working with all partners.